Equity crowdfunding is when an investor invests in a company through an online crowdfunding platform to get an ownership stake in the company with the hope of earning a financial return. Tip: An easy way to remember the difference is equity crowdfunding is for actual equity and crowdfunding is not. Although the DreamFunded screening process is detailed and time consuming, we make the process as simple as possible for startups so they can focus on building their company. 1. Startups are usually referred to DreamFunded through our network of established angel groups, VC Firms and incubators but startups can also apply for funding by submitting a funding request form. 2. DreamFunded's due diligence and deal flow screening team screens each company that is applying to be featured on the DreamFunded platform. Our screening team recognizes the best practices guide as outlined by the Angel Capital Association (ACA). 3. Once the DreamFunded investment team has completed all screening, we make a decision on whether or not the company is the right fit for the DreamFunded platform. If selected, DreamFunded will congratulate the entrepreneur and assist them in launching their company profile. 4. When the company profile is complete, DreamFunded will present the company to our world-wide investor base and begin collecting investments! To submit your company for funding, fill out a funding request form. Crowdfunding has become very popular over the past few years, but the process is nothing new. Crowdfunding has been around for hundreds of years. In fact, it is one of the oldest forms of raising money. 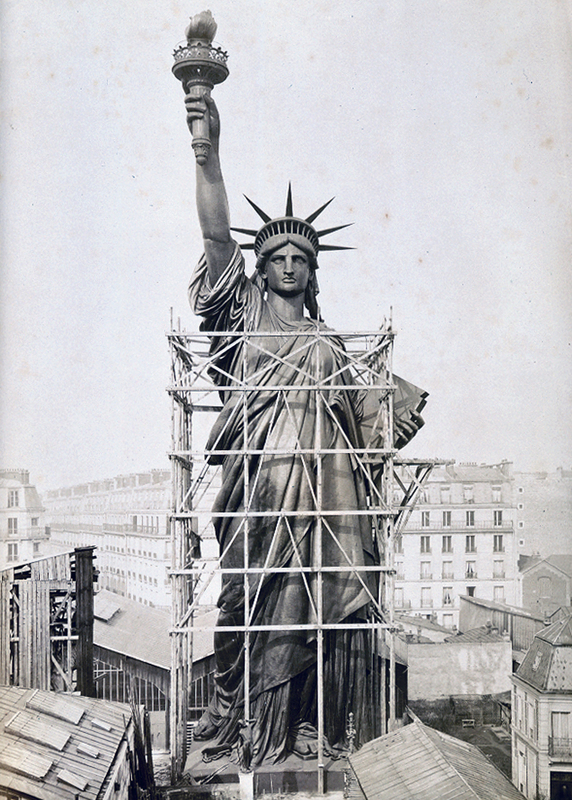 In 1884, France donated the Statue of Liberty to the United States. The only caveat to the donation was that the U.S. had to fund the pedestal that Lady Liberty stands on. When Congress refused to pay for the pedestal, newspaper publisher Joseph Pulitzer started a crowdfunding campaign through his newspaper, that ultimately raised over $100,000 from more than 120,000 supporters. The average investment size was 83 cents! Crowdfunding is the method of raising capital with the collective effort of many people for a specific project. Thanks to advances in technology, crowdfunding has moved online where people from all across the world can back different projects. KickStarter is currently the most well-known crowdfunding platform. These and other similar crowdfunding platforms raise money in the form of donations for all types of different things; from new products and services to social causes and public initiatives. These donations are often in return for some sort of “Perk” such as a product or service, like a tee shirt, product or event ticket. What is an Equity CrowdFunding Portal? Equity CrowdFunding Portals (ECF) are platforms that provide non-accredited investors with primary investment opportunities under Title III of the JOBS Act (Regulation CrowdFunding). - Many angel investors are former entrepreneurs themselves. - Angels typically make investments to make a financial gain, to participate in the entrepreneurial process and to support economic growth in their communities. - Angels make a return on their investment when the entrepreneur successfully grows the business and exits it, generally through an acquisition (sale) or IPO (initial public offering). - An angel investor is as an Accredited Investor who meets the legal requirements of the SEC (Securities and Exchange Commission). What's the Difference Between a Primary and Secondary Investment? Primary Investment: A Primary Investment is an investment made directly into one of a company's funding round (ex: Seed Round, Series A, Series B, etc). Primary investments are typically made through incubators, angel groups, VC firms and equity crowdfunding platforms. Secondary Investment: A Secondary Investment is an investment made into the stock of a company through a secondary source (not the company directly). If you purchase shares of a private company from an early investor or employee who owns the shares, it is a secondary investment. Secondary investments are sold on secondary markets and through private resale transactions.